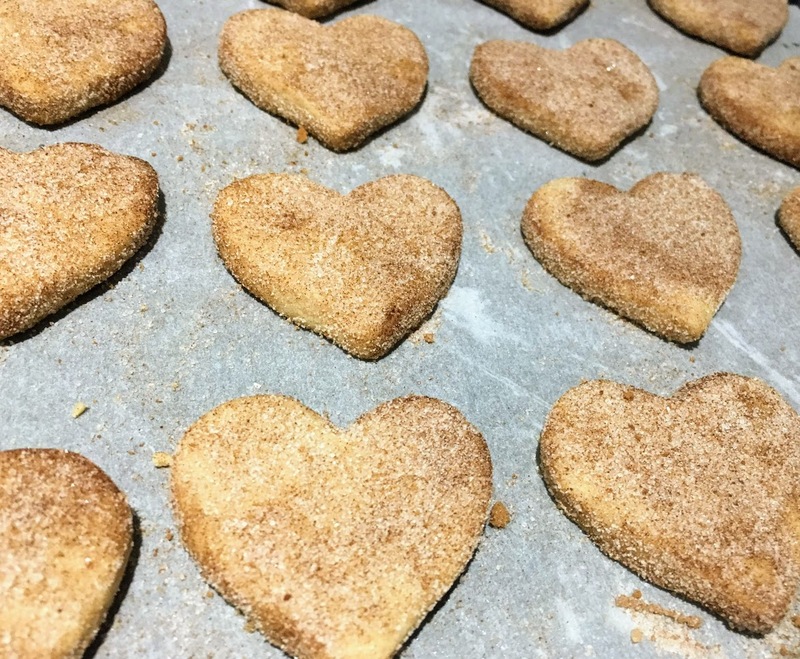 This is my take on hojarascas, cinnamon-infused cookies from northern Mexico. I used butter in place of the traditional lard or shortening, and added a generous amount of sea salt to balance out the sweetness of the cinnamon sugar coating. In Spanish, hojarasca means dry, fallen leaves. Fittingly, these are crisp and slightly dry, almost a cross between shortbread biscuits and graham crackers. It is impossible to stop at eating just one! Note: There will be leftover cinnamon sugar; store in an airtight container and use for future baking projects. Prepare the coating: In a medium bowl, stir together cinnamon and sugar until thoroughly combined. Set aside. Prepare the dough: Preheat oven to 325 degrees F and line two baking sheets with parchment paper (or use one sheet, and bake in two separate batches.) In a large mixing bowl, cream together butter and sugar until light, fluffy, and smooth. Add cinnamon and salt, then stir in flour until fully incorporated. The dough will be dry, crumbly, and somewhat difficult to stir; if needed, moisten your hands with a little water and knead the dough a few times until it comes together. If dough is sticky, refrigerate for around 20 minutes. On a lightly floured surface, rough out dough until 1/4-1/2 inch thick. Cut with cookie cutters of your choice. Alternately, roll tablespoons of dough into balls and flatten with your hands. Bake and coat: Place cookies around an inch apart on prepared baking sheets. Bake for 20 minutes, until edges begin to turn golden brown. Set aside to cool for a minute or two, then roll in cinnamon sugar until fully coated. Store at room temperature in an airtight container.